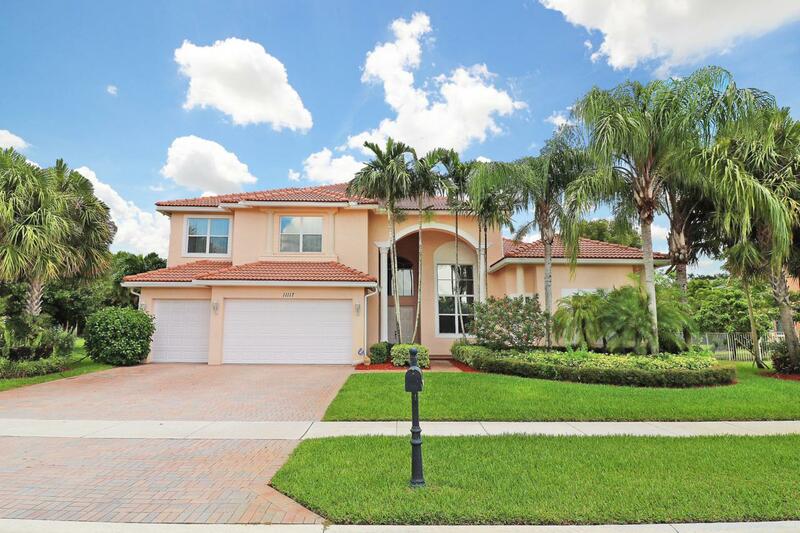 Welcome to this palatial 5253 living sq ft estate home boasting 6 bedrooms with 5.5 baths, plus den, 3 car garage with luxury pool on a 1/3 of an acre, on a cul-de-sac , built by Lennar, tropically landscaped for your privacy and enjoyment. This home has been recently professionally painted inside and out. Accordion shutters on first and second floor creates the peace of mind and convenience you are looking for. Two new AC units, upgraded front loading washer and dryer, 2 newer water heaters. Enter this luxury home through a double door entry into the foyer to a visual awakening of volume ceilings, elegant wrought iron staircase that accentuates the architectural depth and sophistication of the space.